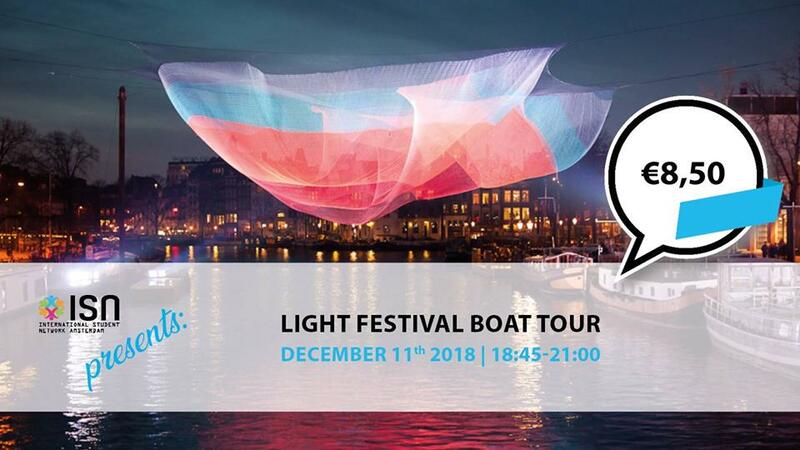 From November the 29th 2018 until January the 20th 2019, Amsterdam will light up for the sixth edition of the annual Amsterdam Light Festival. More than 35 massive light sculptures by international artists, designers and architects will illuminate the city. Join us for a private boat tour during the festival and get to know Amsterdam in the most unique way possible! We will gather between 6.30 and 6.45 at the Hermitage (Amstel 51F) and the boat leaves 7 pm sharp so please be on time. We will be back around 9. * Private boat with just ISN students! ESN card is mandatory for this event.